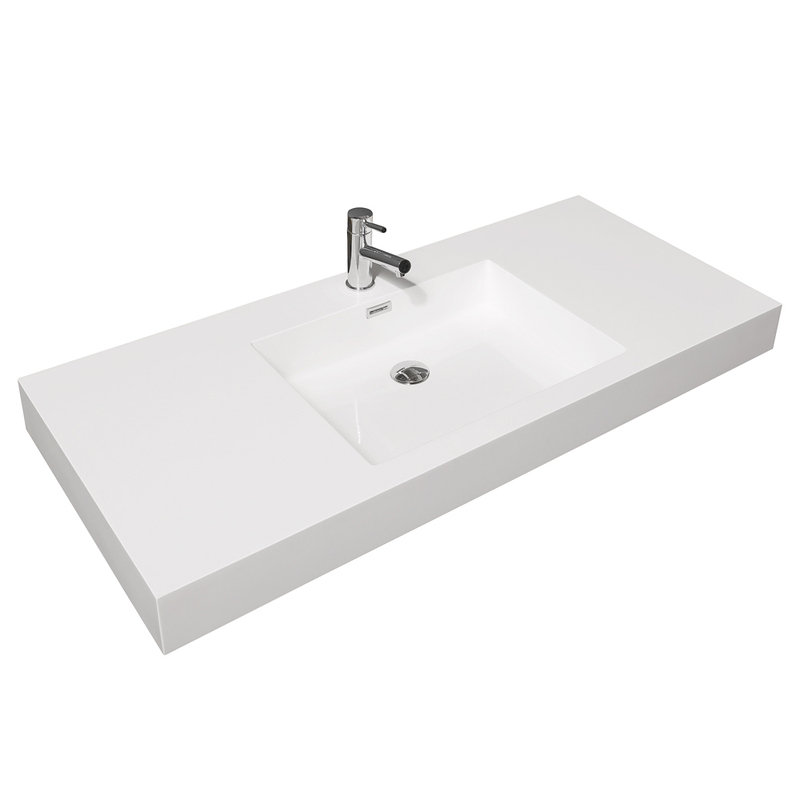 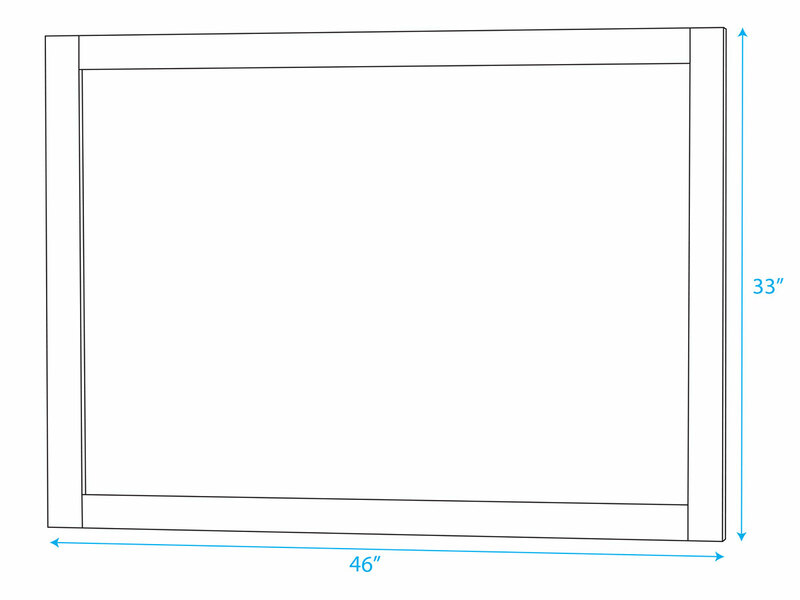 If you're looking for the integrated sink top but want a more spacious feeling vanity, then the 47" Amare Single Vanity is a perfect fit for your bathroom. 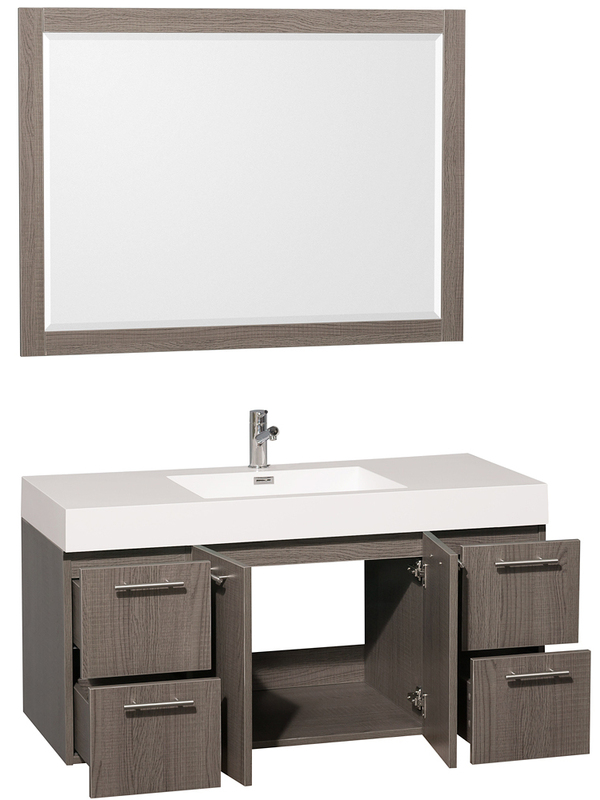 Finished in a unique Grey Oak finish, this vanity boasts a double-door cabinet and four drawers of storage space, accompanied by an acrylic resin sink top that gives you plenty of counter space on both sides of the sink. 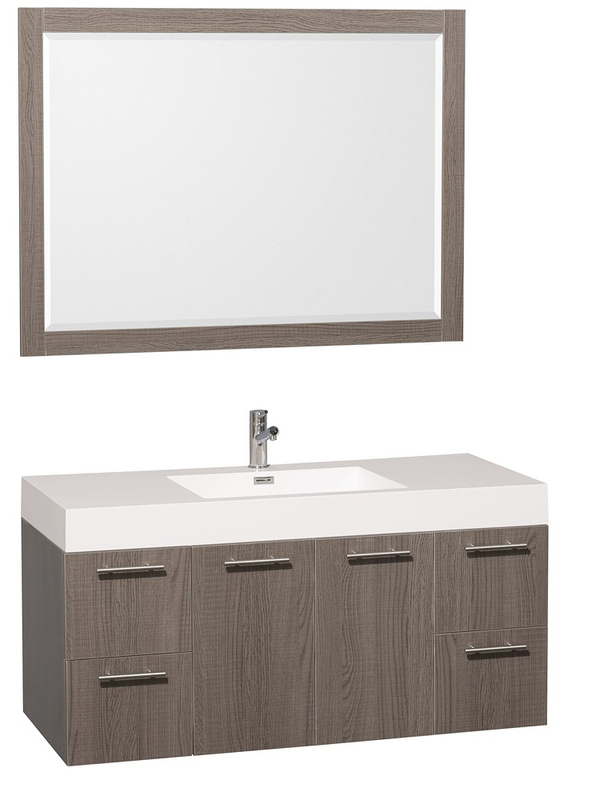 Each drawer and cabinet door is equipped with soft-closing slides and hinges, respectively, and are all adorned with Brushed Chrome hardware.To top it off, a matching mirror comes included with this vanity. 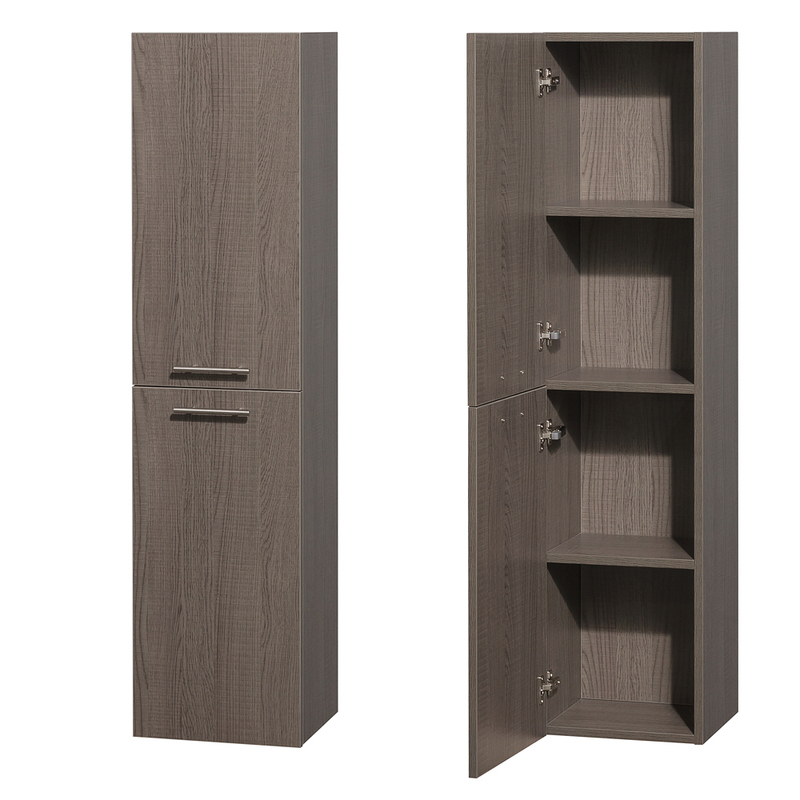 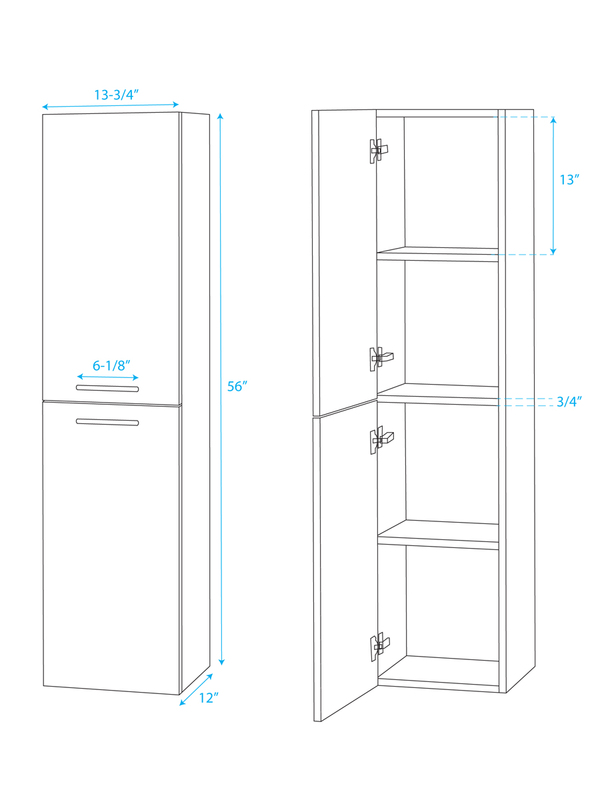 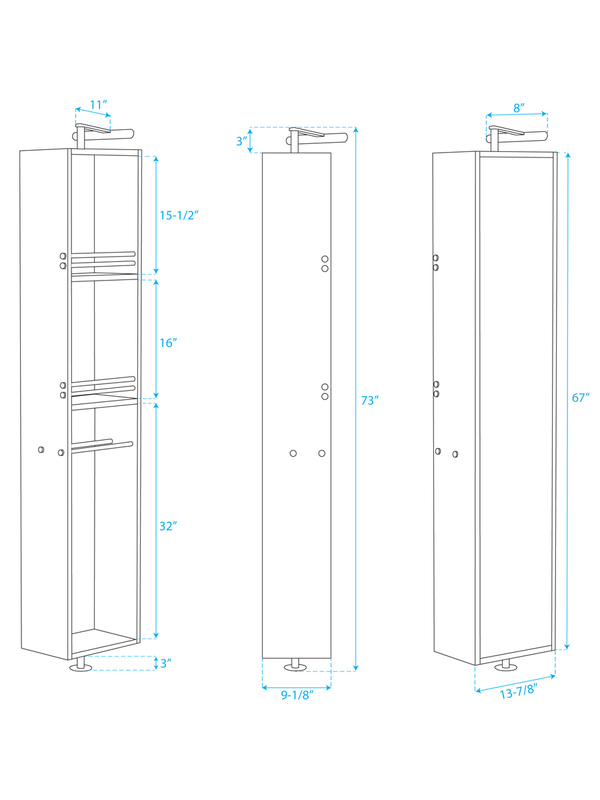 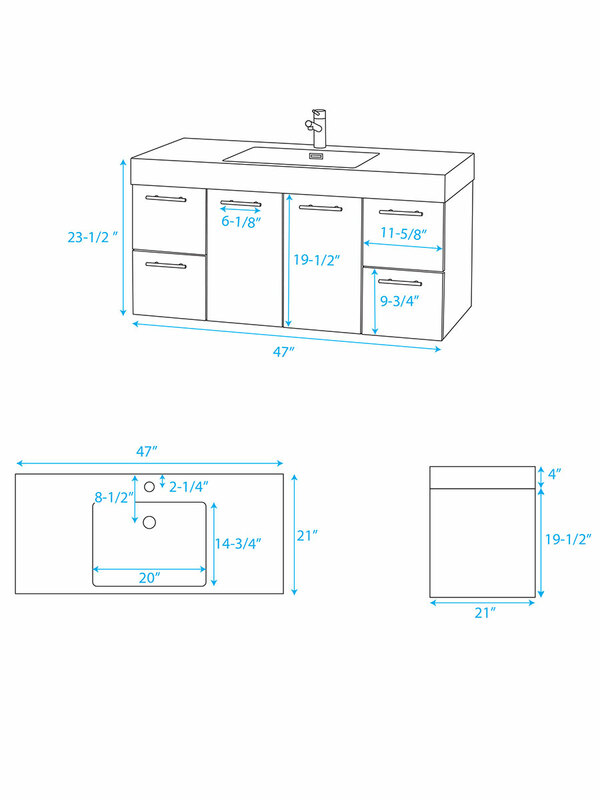 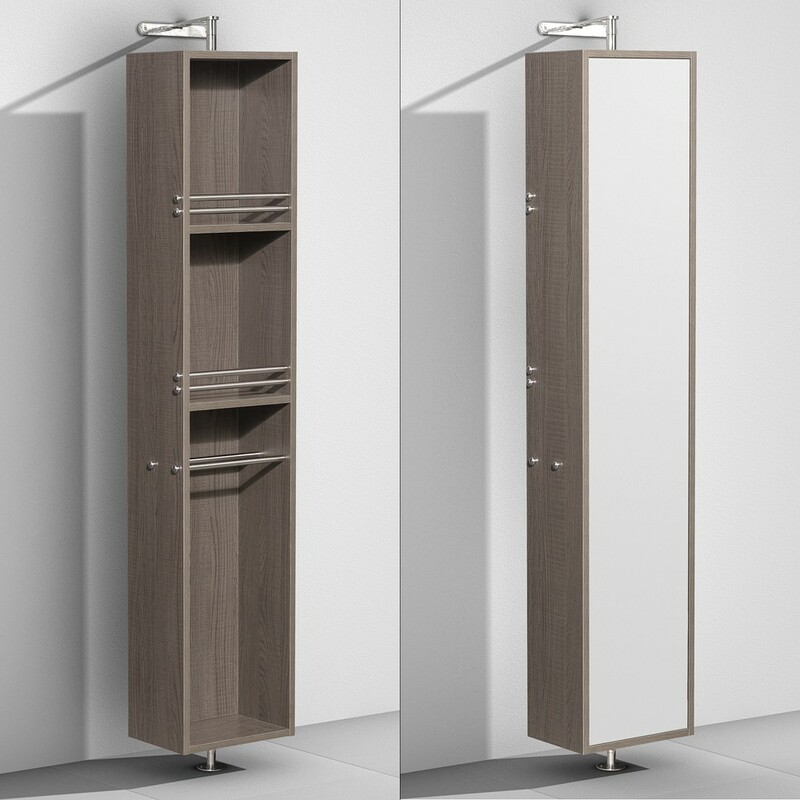 Add one of its optional storage options to give your bathroom additional storage space!